Montego Manor Palm River Condos: PRICE REDUCED! MODERN CHIC, ONE OF A KIND, EXCEPTIONAL PROPERTY! This totally, permitted, remodeled condo next to the elevator is waiting for the most discriminating buyer. Light, bright & white, with NEW soft-touch cabinets with slab-cut Corian counter tops, new appliances, A/C, hot water tank, baths and entry, imported hypo-allergenic German flooring, LED lighting throughout, doors, hardware, hurricane windows and sliders complete this outstanding picture. Tranquil & beautiful , this one will take your breath away! This small, 35 unit complex, offers supreme privacy and outstanding views of the lake, pool area and La Playa golf course. Community offers pool and covered carports. Splinterwood Palm River Condos: This spacious home is perfect for anyone, being ideally positioned in the heart of North Naples, where everything happens! On entering you immediately notice the elegant tile that is throughout the entire home and the accent wall that brings personality to the open and inviting layout. The recently-renovated gourmet kitchen will inspire your inner chef with its granite counters and stainless steel appliances. Both bathrooms have been tastefully updated with granite counters and the bedrooms are both spacious with more than adequate storage. You'll also love the convenience of your own parking spots right in front of the door, and a great neighborhood near it all with, great shops, bars, restaurants and the beach minutes away. Recent updates include new roof (2017), bathrooms, interior painting, new light fixtures, exhaust fans and a cute patio with a beautiful green fence. Conclusion: Great Home, Excellent Vacation Home and an Efficient Investment Property. Montego Manor Palm River Condos: Rarely available, second floor, turnkey, furnished unit overlooks the pool and view of the LaPlaya Golf Course. This unit is bright, spacious, well cared for and ready to move in. The Large eat in kitchen has plenty of counter and storage space plus a rare second entry to the back hall, no need to walk all the way around for that midnight snack! There is one designated covered space, plenty of guest parking, an additional storage locker and Common Elevator. Montego Manor has a gorgeous pool and 2 barbeque areas located in a tranquil setting yet close to major roadways, shopping and cultural events and just a short drive to the beach. Cocohatchee Villas Palm River Condos: "Tropical retreat" All new renovation just completed. Attached Villa that lives like a single family home. New kitchen including cabinets, granite, tile backsplash, and new appliances. Tile flooring in kitchen and bathrooms, bamboo flooring in living and bedrooms. Complete new Master suite bathroom with new vanity in guest bathroom. A/C is 3 years old. Palm River is a beautiful community just minutes to world class beaches, dining, shopping, and golf. Located in A-Rated schools, close to Arthrex, NCH North, and to I-75 makes this a perfect starter home, investment, or your snowbird haven. Here is your chance to get a piece of paradise. Please call listing agent for more details. Wedgmont Palm River Condos: Rarely available, one of a kind Villa! Private entrance from own paver walkway. Bonus spaces abound! This 2 bedroom, 2 full bath plus bonus guest powder bath boasts light and bright appointments from white cabinets, light granite countertops, and brand new flooring throughout. The outside comes in with tall windows and sliders. The tiled and screened in lanai is an extension of the living space – tranquil in meticulously landscaped grounds. The 2nd floor bedrooms both open to bonus spaces: the master boasts a porch balcony, and the guest suite opens to a large upper screened in second lanai area, that overlooks the private La Playa golf course. Large tile was just installed, and popcorn ceiling removed - modern finishes. The master bath was renovated with walk in tile shower and stone topped vanity. The community pool is only steps away. Wedgmont is a low-density development in Palm River. Only 3-1/2 miles to beach (under 10 min). New tile 2017, new roof 2018, AC, water heater, laundry less than 5 years old. Unit seldom used, clean clean clean! Excellent seasonal Jan, Feb and March rental history but not mandatory to continue – lease seasonally or enjoy for yourself! See 3D tour! Spanish Pines Palm River Condos: Rarely available second floor end unit!! Totally Redone and Turnkey!! Ride your bike to Wiggins State Park only 4 miles!! Looking for a great place to call home?? This is it,,,, located near wonderful restaurants, shopping and of course the beach!! You will love the views from your private balcony overlooking the lake area and community pool. Want great seasonal rental income as well?? Many options!! Master bedroom with natural light and slider to enclosed balcony area. Stainless appliances, covered parking with extra storage!! Great unit overall!! You will not be disappointed--Make it yours now!! Pebble Shores Palm River Condos: Hard to find lst Floor on the lake. You will love the tranquil view from the screen patio a perfect stop to start the day or watch the sunset. Split bedrooms. Eat in kitchen. New designer tile in main areas. Stainless range/oven and dishwater. Low Low maintenance fees. Short walk to the community pool. Perfect location in North Naples west of Airport Rd. No rentals the first 2 years of ownership. Buyer should confirm all information to their satisfaction information provided by 3rd party. Pebble Shores Palm River Condos: ** BRAND NEW ROOF AS OF MARCH! ** **MOTIVATED SELLER** Gulf of Mexico only a few miles away! You’ll love walking into this gorgeous 2 bedroom + den end-unit (the largest floor plan in Pebble Shores) with nice flooring and a kitchen with stainless steel appliances and great counters. The master bathroom has a walk-in closet while the guest bedroom has a very large closet. The main living area features a spacious living room and dining room and just off of it is a roomy den currently utilized as a home office. These are often used as a second media room or enclosed to make an additional private room for guests. Pebble Shores has a very long lake; this unit sits at one end, so your view is the length of the lake with a spectacular fountain right outside! The condo fees are exceptionally low and Pebble Shores is financially strong. The buildings have all new roofs coming and the pool was just completely remodeled this past year! You will LOVE having your own assigned carport space with ample guest parking right in front of your building. It is a gem in the heart of North Naples where you can walk to restaurants and shopping! Pipers Pointe Palm River Condos: This ground floor two bedroom, two full bath unit located on the lake with Southeast exposure is super clean, move-in ready and available for quick occupancy. Recent upgrades include new tile flooring, new carpeting in the bedrooms, new appliances, mirrors, fixtures and fresh paint. There is an eat-in kitchen with breakfast bar as well as a separate dining area in the living room. This unit also has a separate utility room and deeded carport space. Superior location in the complex located on a quiet cul-de-sac right across from the large, resort-style pool. Piper's Pointe is a well-established, well maintained, pet-friendly complex with two pools, a community room, new roofs (2018,) not a 55+ complex and among the lowest condo fees in all of North Naples. Prime North Naples location close to everything including a wide variety of shopping, dining, healthcare, entertainment, beaches, golf, parks and more. Call today for more information or to arrange a private showing! Spanish Pines Palm River Condos: Move in ready condo in amazing location in the heart of Naples west of I-75, just off Immokolee Rd. in the great neighborhood of Palm River! 3.5 miles to the beach! Great restaurants (Jimmy P's, Fendandez de Bull, Boston Beer Garden, etc.) and shops within walking distance! 4 miles to Mercato for high end shopping/dining & nightlife. Tons of golf courses close by to choose from. This 2 bed, 2 bath condo has a huge lanai that overlooks the pool and pond area! Master bedroom with large walk-in closet! Both bathrooms are good size. In unit laundry is key. New A/C system, new flooring, new sink in master, clean, well cared for, and ready for your personal touches! Tons of space! 2 parking spots! Extra storage! Cocohatchee Manor Palm River Condos: Located in a prime area of Naples! This cozy attached villa in Palm River has been gently taken care and is ready for it's new owner! NEW A/C SYSTEM!! Fully tiled, this 2 bed/2 bath home has a Florida room that can be used as a den/office space area and laundry in the unit. Antique-like kitchen can be painted into any color and is still in neat condition. This home and neighborhood is ideal for young families looking to grow in a quiet neighborhood zoned for A-rated public schools. Just a short drive to the beach, Mercato shops, hospital, fine dining, grocery and many other convenient locations in the North Naples area! Contact the co-listing agent for showings requests today! Pipers Pointe Palm River Condos: Lovingly-maintained by seasonal owners, this upstairs END unit is situated on a low-traffic cul-de-sac street and right across from the large pool. It features volume ceilings in the great room, panoramic views from the lanai of the lake and fountain and is ready for your special touches. Turnkey-furnished and ready for quick occupancy. Deeded carport space and extra storage too. Pipers Pointe is pet-friendly, offers two pools, a community room, is not a 55+ complex and offers one of the LOWEST CONDO FEES IN NORTH NAPLES. 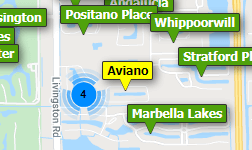 Prime North Naples location close to everything. Call today to arrange your private showing! Wedgmont Palm River Condos: THIS IS IT! The nicest condo for sale in Palm River for under $180,000. Upgrades list is very long as this home has new paint, new carpets, all bathroom faucets are new, brand new GE Profile Refrigerator just to highlight a few. 3rd Floor unit with elevator. 5 Units per floor and 15 units per building. Please check out our 3D matterport tour! Pebble Shores Palm River Condos: By far the lowest priced 2 bedrooms and 2 bathrooms very well maintained first floor unit, with long lake and fountain view. Just a short distance to Gulf of Mexico sugar white sand beaches, restaurants, bars and shopping. Assigned, covered carport. Low condo fees, and just a short walk to the newly refinished clubhouse pool and spa. Brand new AC unit installed in 2018. Priced to sell!!! Mapleleaf Villas Palm River Condos: As you enter the private, fenced, patio area, you will be impressed with the professionally landscaped outdoor living space. Additionally, there is a sun filled deck accessed from the two spacious upstairs bedrooms. A lovely mirrored accent wall enlarges the main living area. All new impact windows and doors can be valued over $15,000. Additionally, a new roof, water heater, stainless steel refrigerator, built in microwave and carpeting make this "move in ready" condominium, a must see! Living without a neighbor above your residence is a rare opportunity under $200,000. This uptown, Palm River townhouse, is convenient to Gulf beaches, La Playa golf course, shopping, dining and variety of entertainment venues. Country Club Gardens Palm River Condos: Come home to this charming 2 bed, 2.5 bath townhouse located in one of the most desirable areas in North Naples. This end unit is in great condition and the only Townhouse to Country Club Gardens. New Stainless steel appliances, tile throughout the main areas and carpet in the guest bedroom and stairs. Palm River is located less than 10 min. from the beautiful beaches, shopping center, and restaurants. Schedule your showing today. Montego Manor Palm River Condos: Amazing 2nd floor fully furnished, low fee condo, overlooking pool, staring at LaPlaya Golf Course, and priced to sell at $25K below the next closest competition. Nice, quiet setting, yet just a moment to arterial roads to quickly get you to all the shopping, restaurants, golfing, and beaches, and year round events that Naples has to offer. Excellent area in which to walk and bicycle, and top rated schools. Enjoy a beverage at your weekly poolside get together with the neighbors, and grill out at either of your barbecue areas. You have your own covered parking space, plenty more spaces for guests, additional storage, and elevator service. Take quick advantage of this opportunity, and go play with your savings of tens of thousands of dollars! Pipers Pointe Palm River Condos: Well Kept, one owner, first floor condominium in a convenient location of North Naples. Enjoy a cup of coffee, or tea on this lake view lanai with Southern exposure. This furnished unit offers a full size washer and dryer, and the master bedroom, with a lake view, has a walk-in closet and bath with double sinks. Piper's Pointe has two pools, and this unit is a short walk away from the smaller pool for your convenience and enjoyment. Brand new hot water heater installed in December 2018. Lanai has manual shutters for added peace of mind. Wedgmont Palm River Condos: REDUCED !!! ONLY 3 SHORT MILES TO NAPLES BEAUTIFUL BEACHES OR A 20 MINUTE BIKE RIDE. LIVE IN NORTH NAPLES WHERE ALL THE AMENITIES YOU COULD ASK FOR ARE VERY CLOSE BY. THIS HOME BOOSTS 2 MASTER SUITES WITH A GREAT ROOM CONCEPT. STORAGE ROOM JUST DOWN THE HALL. INVESTORS.... THIS COULD MAKE FOR A VERY NICE ANNUAL RENTAL INCOME. CLOSE TO BEACHES, SHOPPING, MANY RESTAURANTS, SAM'S CLUB, MERCATO, I75 AND MORE !!! Palm Crest Villas Palm River Condos: LOCATION LOCATION LOCATION ! BEST PRICED 2 BED 2 BATH CONDO, END UNIT WITH 1 CAR GARAGE IN North Naples. This Spacious condo has been updated with ALL NEW HURRICANE IMPACT GLASS, NEW STAINLESS STEEL APPLIANCES, FRONT LOAD WASHER AND DRYER.. BOTH BATHROOMS HAVE BEEN UPDATED ! ALL OF THE CONDO'S IN PALM CREST VILLAS ARE IN THE PROCESS OF GETTING NEW ROOFS !! Palm Crest Villas has a great community pool and very low fee's, with less than 50 homes. THIS IS THE PERFECT VACATION HOME TO ESCAPE THE COLD WINTERS UP NORTH.. CALL TODAY TO SCHEDULE A SHOWING..
Naples Keep Palm River Condos: Completely remodeled with no expense spared two bedroom two bath condo in Palm River, convenient to Beaches, Mercato and all North Naples has to offer. Enjoy relaxing views of undeveloped woods from screen private porch. Corner unit provides privacy, lovely split floorplan with walk in closet in master, lots of storage i.e. large walk in laundry storage room inside the condo. Remodeling improvements included travetine and wood floors, stainless steel appliances, wood cabinetry, granite counters, HVAC, front loading washer and dryer. This condo will amaze. See It Today! Cocohatchee Manor Palm River Condos: Your search for the perfect, affordable, centrally located, and easy to maintain first floor Naples condo is finally finished! This charming 2 bedroom, 2 bathroom condo has been completely renovated and features a modern kitchen with soft close cabinets, stainless steal appliances, granite countertops, designer backsplash, new easy to clean hard surface flooring throughout, and updated bathrooms. All the hard work has been done for you making this condo move-in-ready. Located in the heart of Naples just off of Immokalee road and directly on the nature filled Palm River, it has never been easier to take advantage of all of your favorite Naples attractions like shopping at Mercato or the beach just minutes away. Spend your mornings on your glass enclosed patio and watch turtles, fish, and birds in the river. You can even cast a line or launch a kayak in the back yard! Truly a nature lovers retreat and a peaceful setting that provides endless natural entertainment. Flexible closing timeframe with a tenant currently in place (investor alert!) if you're not ready to move in right away. Call for details or to set up a showing at this one of a kind condo. Need professional assistance selling your property at Palm River Naples? Find out how an Area Specialist can help to generate more property exposure in order to get the most money for your investment in the least amount of time.